The phone call Amber Guerrero dreaded most of her life finally came last month. Her brother Keith—struggling with a mental illness for the last 10 years—had died. “I feel somewhat that I failed him, that I wasn’t able to get him help,” Guerrero said. What let Keith down wasn’t his family, but the system that was supposed to keep him well. Keith was his dad’s only son, and while he could be big and tough, dad says he had a soft spot, too. “Whenever a baby was born in our family, he had to be one of the first of our kids to old it. And he truly loved it,” his father said. Six years ago, Keith fulfilled a dream when he became a dad, first to son Austin and later to Ava. But around that same time, Keith was showing signs of schizophrenia. He began acting paranoid, convinced people were talking about him and hearing voices that weren’t really there. On a day four years ago, after a fight triggered by a schizophrenic episode, Keith left his house in a fit of rage. He got into his car, backed out his driveway and killed two year old Ava. She was riding her bicycle. “In his mind, it was just a sheer terror to live. He wasn’t happy with himself, and he sure didn’t want us being happy with him,” said Keith’s dad. 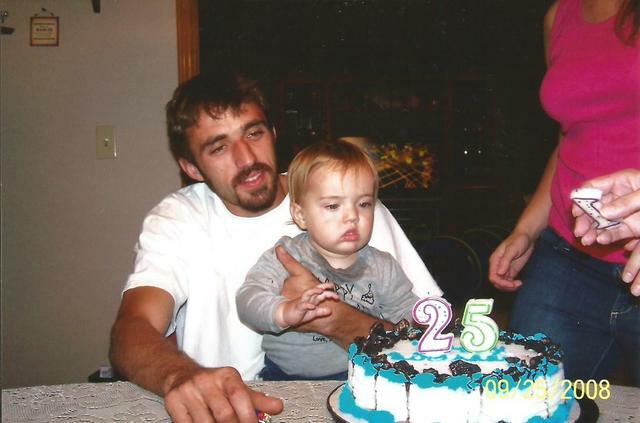 At only 27, Keith was a battling a severe mental illness and crippling depression. Not long after, he slit his wrists. “He looked up at me and said, ‘Dad...it’s not your fault. I’m done. I don’t want to be here anymore. I want to be with my daughter,’” recalled his father. After the failed attempt to take his life, Keith was admitted to a hospital for psychiatric treatment. His family says they were relieved. But as our months-long investigation has revealed, the help Keith and others received was very little. He was held for 3 days, stabilized and let right back out. Medication helped, but like with many suffering from a mental illness, Keith didn’t feel like he needed it. When he got home, there was no system in place to make sure Keith stayed well. He would be committed to the hospital three more times, and released days later. Instead of taking prescribed medicine, Keith started to self-medicate, getting high off of household cleaners to cope with the pain. “You wondered whether he was self-medicating because he truly wanted to get rid of the voices, or whether he was doing it to hopefully meet his demise,” Guerrero said. On September 12, after a night of self-medicating, Keith died of poisoning. “When you’re that mentally ill, you need someone to say: you have no choice, this is what you’re going to do, this is the plan we’re going to put you on,” said Keith’s mother Sheila. Since 2013, Lt. Governor Brian Calley has led the state’s commission on mental health...created to improve care for the mentally ill.
“Families say their loved ones are literally dying because the system that’s in place right now isn’t working,” Jones said. But many mental health advocates say there is a solution that no one’s been using. As we reported last month, it’s called Kevin’s Law and was passed a decade ago, allowing judge’s to order outpatient treatment that lasts no less than 6 months. Instead of just authorizing a brief hospital stay, judges can order services like supervised living arrangements or a case manager to make sure that people like Keith are taking vital medications. But the law was never funded and judges say it’s confusing and difficult to enforce. 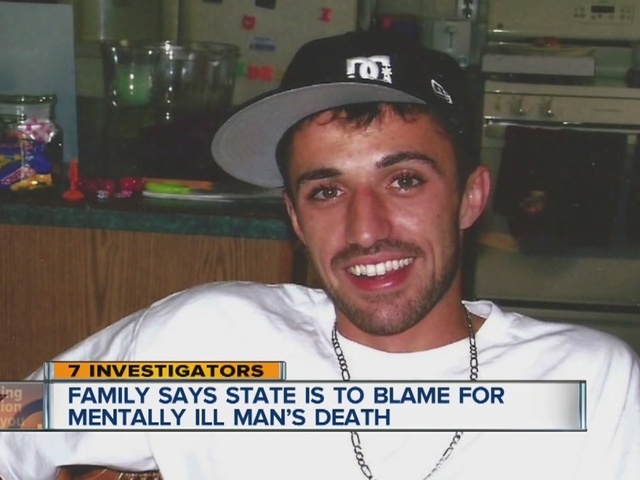 Even the man in charge of mental health for Michigan was at a loss for how to fix it. “Why do you think it’s being so sparingly used?” asked Jones. “That’s a good question. And if you can find out in some of your reviews, you can let me know,” responded then-MDCH Director James Haveman. But days after our initial reports last month came an announcement that the state would form a special task force designed to understand why virtually no one’s using Kevin’s Law, and turn it into a tool that really helps. Keith’s family is happy that a fix could be on its way. They just wish it had come sooner. “I just don’t think he deserved to die,” said his mom. Judges say today that they can only authorize treatment under Kevin’s Law if a petition is filed by a loved one or friend, but they’d like the power to order treatment themselves. When I asked Lt. Governor Calley if judges ought to have that power, he said they should. The first meeting of the Kevin’s Law task force will take place on October 28. Contact 7 Investigator Ross Jones at rjones@wxyz.com or at (248) 827-9466.